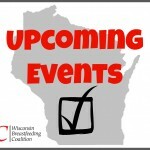 Welcome to the Wisconsin Breastfeeding Coalition website. Through our participation in the Healthy Wisconsin Leadership Institute’s Community Teams Program in 2016-2017, we created this video story for WBC. We want to support local efforts by getting breastfeeding champions from around Wisconsin involved and engaged in our work! Check out our upcoming events section!